Maps: Distraction or Project Opportunity? We’ve been hitting the maps pretty hard of late but that hasn’t taken my mind off mechanical pursuits. In fact, several smaller things have come up which will be good small projects. 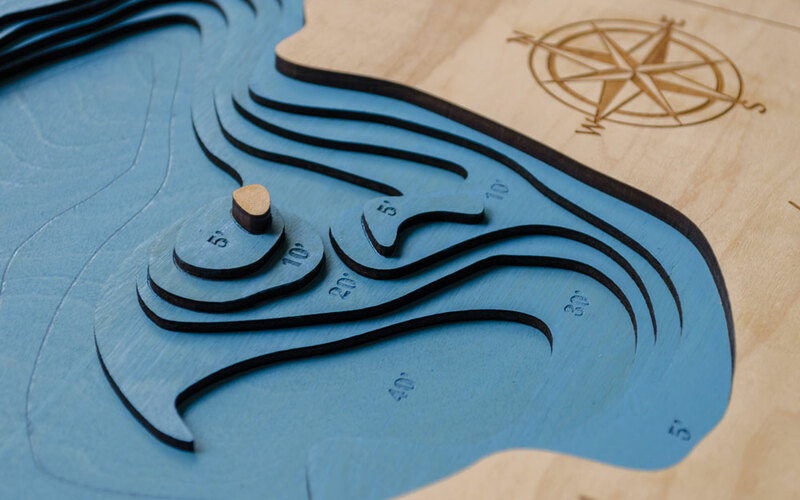 We use quite a bit of 1/4″ and 1/8″ ( 6 and 3 mm) plywood in map production (frames are domestic hardwood however, made in-house too!) The 1/4″ behaves well, but 1/8″ quickly warps when left alone. Weight helps but a slight over correction is necessary to counteract spring-back. After cutting the plywood into 18″ x 24″ (455 x 610 mm) rectangles we stack them spanning two blocks and place a 40 lb (18 kg) weight to make them “sag” slightly. This is an effective system and virtually eliminates the taping and frustration previously required to prepare for laser cutting. Unfortunately it does require one to remove and replace the weight each time, where the second step is not always completed. Even removing the sheets in batches is not ideal, despite consistent moisture conditions (verified with a meter) the boards will begin to curve in a few minutes, making single sheet removal the preferred method. All this brings me to the ideal solution: a weighted counter-curve piece which sits atop a stack of plywood and can be lifted slightly to easily remove a single sheet. This device should also be able to accommodate a stack of variable height, which complicates things. A clam shell bucket style mechanism used to friction grip a shaft should do the trick nicely. Sketches to follow in the next few days. In the meantime: a few more map photos. 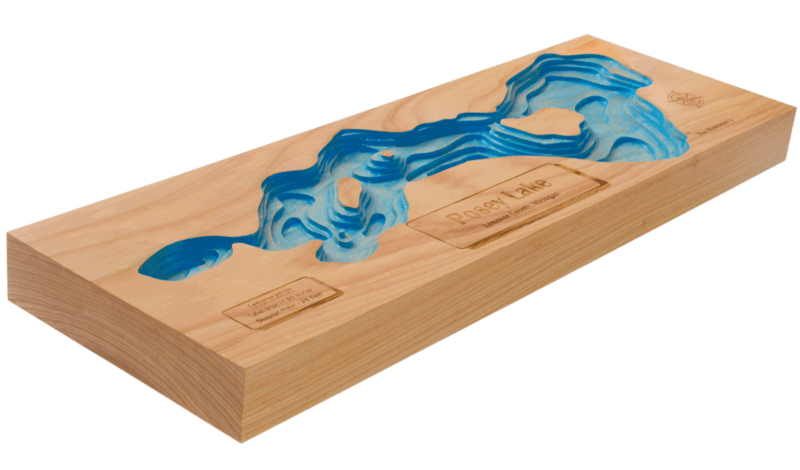 The second type begins as an 8/4 (about 50 mm rough-sawn) board and is then carved on the CNC machine with lake contours.